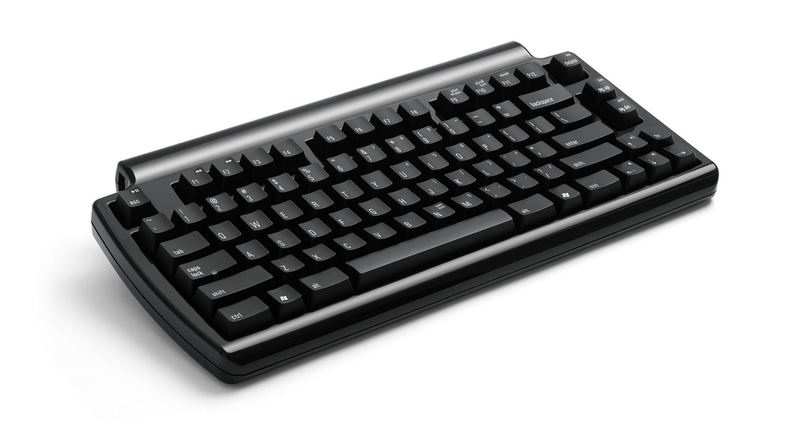 The Mini Quiet Pro uses Matias’ new Quiet Click mechanical keyswitches. They deliver a feel that’s unmatched for comfort — without sacrificing the tactile feedback you need to type really fast. Easy to pack for trips. If you loathe your laptop's built-in keyboard, the Mini Quiet Pro is narrow enough to fit in your laptop bag. The latest trend in keyboards is to have very flat & wide keys, with little or no space between them. You see this a lot on laptops and netbooks. While they look great, they can also be a little tricky to type on. The flatness makes it very easy to slide out of home row and lose your bearings. The Mini Quiet Pro bucks this trend. It has traditional sculpted keytops, curved to fit your fingertips, and keep you from sliding out of home position.